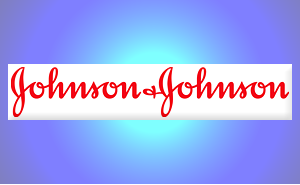 Johnson & Johnson announced a collaboration with UN Health 4+ agencies and the World Bank that aims at helping to reduce maternal and infant mortality in Tanzania and Ethiopia. Inspired by this unique approach to maternal and child health they have become the first corporate partner with Health 4+ (H4+). Johnson & Johnson announced a commitment of $4M over four years to support Human Resources for Health joint programming in Tanzania and Ethiopia in partnership with the UN Health 4+ agencies – UNFPA, UNICEF, WHO, UNAIDS and the World Bank. The collaboration aims at helping to reduce maternal and infant mortality in Tanzania and Ethiopia by building health-care capacity and training skilled birth attendants. This approach to maternal and child health inspired Johnson & Johnson to become the first corporate partner with Health 4+ (H4+), a collaboration that embraces the benefits of working together to serve the needs of women and children. Health 4+ are all organizations that have positively impacted global health in their individual work. It is hoped that private partners like Johnson & Johnson, as well as government partners, will bring complementary skills to the challenge of improving health for mothers and babies. This unique public-private partnership creates new opportunities that will make a significant difference.